We are very pleased to bring to you the BF6 Invited Builder video for Larry Pierce at Garage Company Customs in Alabama! Larry has one of the best senses of humor on two wheels and this year’s video just upped the bar! Big thanks to Show Class Magazine for helping get this done. It was directed by Daniel Thomas, produced by Show Class, and Ashley Hardin did the rest. Lots of fun little things, watch closely. 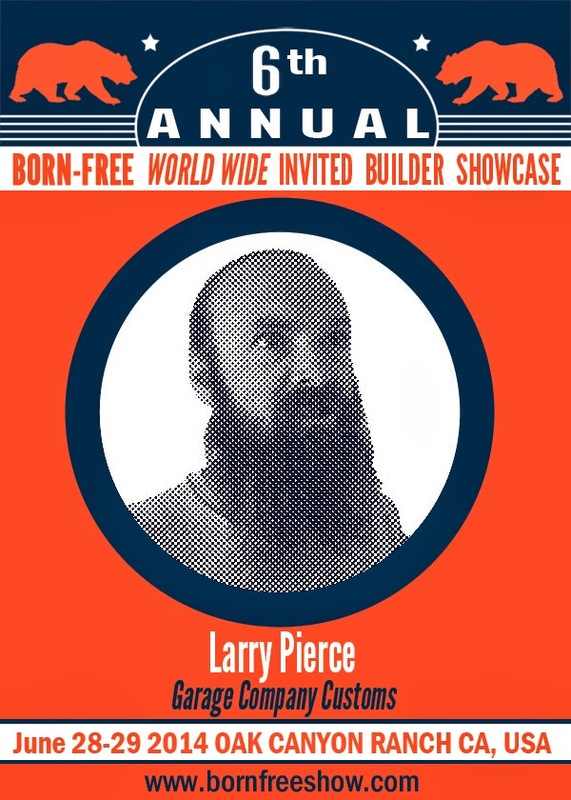 This entry was posted in Uncategorized and tagged bf6, born free builder video, garage company customs, good folks, hawg wild, invited builder video, larry pierce. Larry is a ruler! Ending was BA.